Announcement Welcome to Sockprints on Etsy - we hope you enjoy visiting our shop! 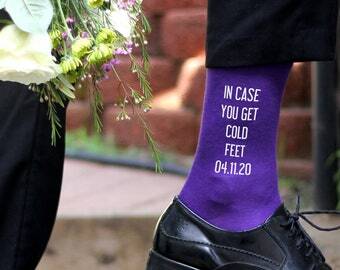 Sockprints specializes in custom printing almost anything directly on a pair of socks. With our patented printing process we are the only company using this digital printing process to custom print one-of-a-kind designs by the pair! Our socks are different than all the sublimated or vinyl cut socks in the marketplace and with over 8+ years of experience with digital printing on socks we know how to get the best results. **Standard free shipping on domestic (US only) orders totaling $40 or more with coupon code FREESHIP at checkout. Discounts and bulk discounts are available for bulk orders. Our talented design team is happy to assist with any design ideas for the socks and you can reach us by sending a message. You can also visit our website at sockprints.com for DIY one-of-a-kind custom printed socks. 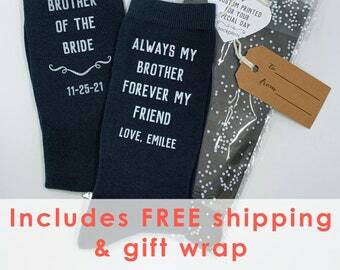 If you like our designs on socks check out our other Etsy shop for additional printables at https://www.etsy.com/shop/PillowPrintzandMore?ref=shop_sugg. Thank you for visiting Sockprints!! Welcome to Sockprints on Etsy - we hope you enjoy visiting our shop! 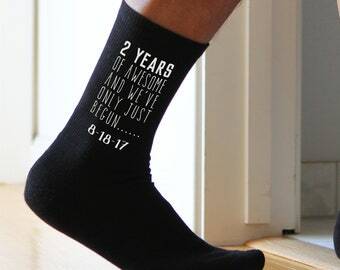 Cotton is the gift for a 2 year anniversary and these socks are the perfect pair to celebrate the occasion. 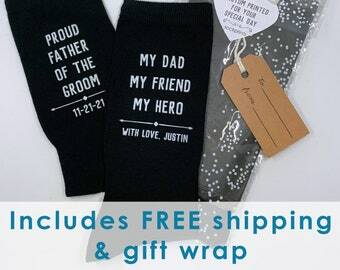 Personalized with a name and date these are socks he’ll love!! 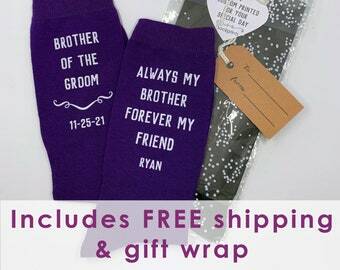 Personalized socks for the brother of the bride will make his day special too!! This listing comes with free shipping and gift wrap. Can’t forget the brother of the groom on the wedding day! These socks are available in a wide range of colors for any wedding theme. Comes with free shipping and gift wrap!! The sockprints production team works and plays in Southern California. The beach is perfect for our photo shoots! We specialize in custom printing on socks. We start with blanks and digitally print almost any design on our socks. Each order is hand processed by our stellar production team from start to finish. A bird's eye view of our day packing and shipping orders. Thank you for visiting sockprints and feel free to contact us with any questions you may have! sockprints is the brainchild of two entrepreneurial moms, one the owner of an apparel printing business, the other with a design background in the fashion leg wear industry. In 2009 what started out as a sock printing experiment for our daughter's club soccer team has transformed into an amazing business partnership, and we are thrilled to share our custom printed socks with you. 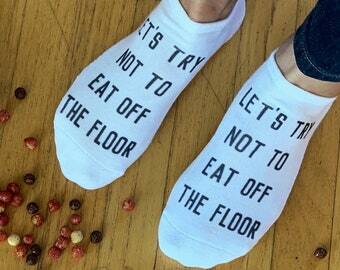 "Can you print on socks?" was the question that started it all. The first attempt was successful, but it took about 30 minutes to print one pair! The second try was much quicker using a template specially designed for printing. We applied for a US patent on the printing process and in 2011 we received the patent. Our patented process allows us to print a few pairs at a time, making it easy for anyone to order one-of-a-kind, personalized, and custom printed designs on socks. No minimums! 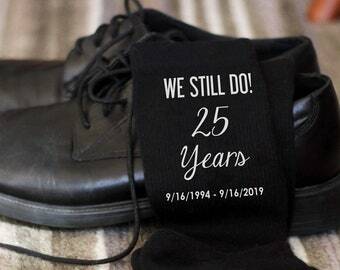 Recently one of our customers commented in a 5 star review that our socks are "sentimental yet practical" and we couldn't agree with her more. Sockprints is a company utilizing the latest apparel technology to provide you with fun, creative ways to personalize socks. With our custom printed socks, we have perfected direct to garment printer techniques that allow for a way to produce small batches of socks. We specialize in unique and original designs that are perfect for gifts, your logos, holidays, parties, fundraising, sports teams and more. We print "custom socks for happy soles". 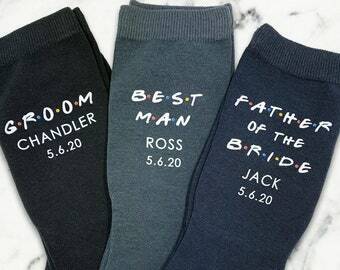 We're extremely proud of our fun and fresh approach to personalized socks by the pair. Our patented process creates custom socks for happy soles! With over 25 years of design experience in the sock industry it's exciting to be part of this creative and fun company taking socks to a new level. We love printing custom socks for our customers!! A wife, mom and sci-fi geek playing grown up business woman! My entrepreneurial journey became a reality when I discovered how to custom print apparel and other soft goods. I purchased a Direct To Garment printer and dove in. My adventure continues! Meet Kim, who graduated from Auburn University and couldn't be happier to be back home soaking up the California sun with her puppy, Catalina. She loves the outdoors, creating art, and watching standup on Netflix! Welcome and thank you for visiting our Etsy site! 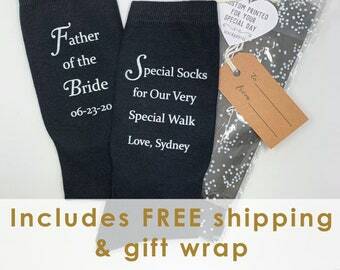 We are thrilled to offer our personalized printing services on socks. 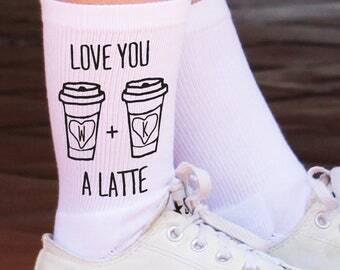 Feel free to contact us if you have custom design ideas you would like printed on socks as we can print in millions of colors with incredible detail. The ideas really are endless! Since each order is custom made, we cannot accept returns or issue refunds. We take pride in the quality of the printing, and if we think an image may not work on the socks, we will contact you to suggest an alternative image. Of course of you are not totally satisfied, please let us know. We accept all methods of credit card payments available through Etsy. We ship via USPS Priority Mail for both domestic and international shipments and also have a First Class mail option for some of our products. For international orders some countries require a duty to be paid before delivery which is not included in our shipping charges. To fulfil your order, you must provide us with certain information (which you authorized Etsy to provide us), such as your name, email address, postal address, payment information, and the details of the product that you’re ordering. You may also choose to provide us with additional personal information (for our personalized socks), if you contact us directly. Sockprints specializes in printing custom and personalized socks with eco-friendly permanent apparel inks. Each order is hand processed from start to finish with attention to the details provided by our customers. Since the majority of the socks are print-to-order we do not accept returns unless we made a mistake. We are take extreme care when fulfilling orders and if there are any issues please feel free to contact us. Sock size 10-13 (Large) is the standard size for men and fits a shoe size 8-12. This sock can also fit women with a shoe size 9-12. Sock size 9-11 (Medium) is the standard size for women and fits a shoe size 5-9. Sock size 13-15 (Extra Large) fits a mens shoe size 13-15 and available in a limited number of sock styles. All of our socks are made to our specifications and are a cotton blend fabrication. Machine wash warm, do not use bleach, tumble dry warm. How do I send photos or images for my order? You can attach image files via a custom order request and we can download the artwork from there. What kind of image can be printed on the socks? Most types of artwork will work, but keep in mind the scale and size of the file and how it will look on the socks. If you submit a fuzzy picture, it will print the same way. Avoid shadows and dark colors and if you are going to use a photo, make sure the picture is clear. Please note we are printing on a soft surface, not photo paper and colors will not be exact to what you see on the computer screen. NOTE: We cannot print any licensed images or copyrighted images so please keep this in mind when sending your artwork. We will contact you if we have any concerns. We use USPS for both First Class and Priority Mail both for domestic and international destinations. Once in awhile shipments do get lost and since we do not have any control of the socks once they leave our hands we cannot be held responsible.